Bron's Art is an Art studio in Sandringham that offers art classes for children, school holiday workshops & children art parties. 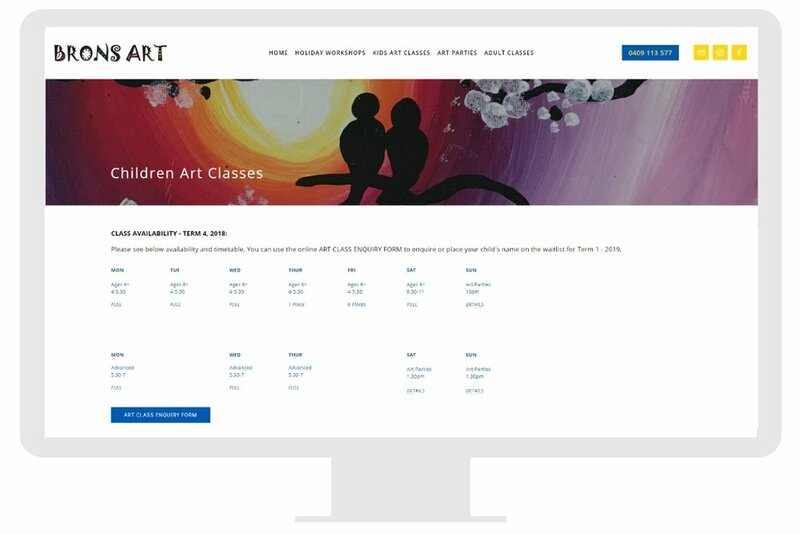 The website (originally developed in 2014 and re-developed in 2018) is a customised Squarespace website with a CMS for client to upload upcoming classes. The website features a gallery of artwork by children both on the site and via an embedded Instagram feed. There are details on upcoming classes (online calendar and online availability) plus a registration to Newsletter (Mail Chimp) which is the main form of communication with students.